History has been made today, with surfing one of five sports officially recommended for inclusion in the 2020 Olympic Games. However the news is bittersweet for the stand up paddling community: Only shortboarding has been approved for inclusion, with no room for SUP racing on the program. 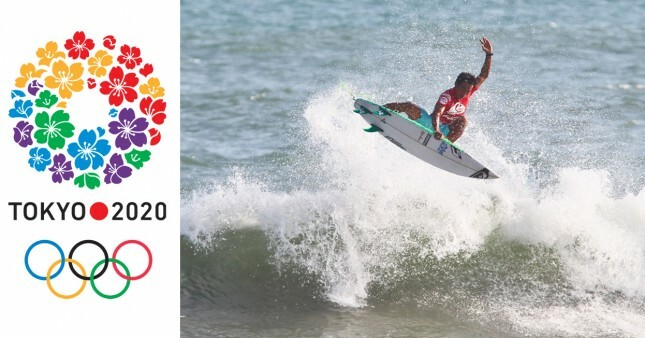 As we reported last week, the ISA had landed surfing and SUP on the doorstep of the Olympics this year, as one of eight shortlist candidates for the 2020 Games and with an official recommendation to be announced on September 28th. Well just a few hours ago that announcement happened: The Japanese Olympic Committee (JOC) held a press conference in the host city of Tokyo to officially announce the sports they would be recommending the International Olympic Committee (IOC) include in the Games of the XXXII Olympiad. Of those eight sports, five were “approved” today: Baseball/softball, karate, skateboarding, climbing, and surfing. The three sports to miss out were squash, bowling and wushu. Today’s decision does not mean surfing, or any of the other four sports, will automatically be added to the 2020 Olympic program. The IOC still has to approve each new event, with a final announcement not coming until the Committee’s annual general meeting (or “Session”) held during the Rio Olympics next August. But while getting approval from the IOC is the final hurdle, it appears the hardest part of the journey is already over. Being recommended by Tokyo was seen as by far the biggest obstacle, with the IOC considered very likely to approve Japan’s recommendations as it seeks to rejuvenate the Games and add more youth-oriented sports under its “Olympic Agenda 2020” modernisation plan. This is a triumphant victory for the International Surfing Association (ISA), and is vindication for the tireless work of their flamboyant and charismatic leader, Fernando Aguerre. Fernando and his team have lobbied for decades to have surfing included on the world’s largest sporting stage. That lobbying has included stand up paddling in recent years, with SUP racing viewed as one of the ISA’s two golden eggs alongside regular shortboard surfing. So why no stand up paddling in today’s announcement? It appears the decision simply came down to numbers. The Olympics has a cap on how many athletes can participate, which often dictates which events are included on the program. The new sports announced today could add no more than 500 athletes combined, which in the end left room for just one surfing event. If approved by the IOC, the five new sports will add a total of 18 different gold medal events and 474 athletes to the 2020 Olympics. Baseball/softball, long considered a certainty for inclusion given its past Olympic history and strong presence in Japan, instantly adds 234 athletes, which takes up almost half of the available quota. The other sports have to split what’s left: skateboarding and karate both have room for 80 competitors, while climbing and surfing will each have to squeeze in 40 athletes to just two medal events, one for women and one for men. So for surfing that means we’ll see 20 shortboarding men and 20 shortboarding women at the 2020 Games, assuming this recommendation from the JOC is approved by the IOC next year. If that’s the case, it almost certainly means there will be a max of one guy and one girl representing each country in Tokyo, with a wave pool the likely venue. But while today’s news will be met with mixed reactions from the SUP community, I believe all stand up paddlers should stand beside their surfing brethren and applaud this historic decision. Not only is it a landmark day for the sport of surfing, to which most stand up paddlers share a common connection, but this is also good news for SUP racing’s future Olympic hopes. If the ISA is formally accepted into the Games by the IOC next August, which is considered very likely at this point, then stand up paddling’s governing body will at least have a seat at the Olympic table. And that’s huge. Once a sporting federation is officially included in the Olympics it becomes much easier for them to add a new event to the program. And given how the ISA has long stated that SUP racing is one of its two priorities, alongside shortboarding, that means stand up paddling is now at the front of the Olympic queue. Though unlike previous additions the Olympic program, which guaranteed inclusion in at least two Games, the new sports announced today will only be added to Tokyo and are not certain of a spot at the 2024 Games. That means surfing will need a strong showing in 2020 to give itself (and SUP) a chance of future Olympic glory. There’s also no guarantee the IOC will ever increase the ISA’s quota of athletes and events. The prospect is, however, more genuine than ever, and no doubt the ISA will keep fighting for stand up paddling to be included in the future. So rejoice, paddlers, there’s now a very real chance that SUP racing will be part of the Games of the XXXIII Olympiad, which are set for the summer of 2024 in one of five potential host cities: Rome, Hamburg, Paris, Budapest and Los Angeles (gold medals at Doheny, anyone?). Until then, let’s applaud Japan’s decision to recommend surfing and other sports that will help modernise the Olympic Games. Let’s share the stoke with the surfers, and let’s thank the International Surfing Association, led by Fernando Aguerre and his entire team, for their tireless work in making this dream a (very near) reality. And then let’s hope SUP racing is on the ticket for 2024. In the meantime, I believe stand up paddling should take some time to reflect and figure out how to better itself. We’re still a young, immature and often times very dysfunctional little sport. One could easily make the argument that we weren’t ready for Olympic inclusion anyway. There are many internal issues SUP needs to sort out – too many to list right now – so hopefully this missed opportunity will be a catalyst to make that happen and to improve the sport of stand up paddling as a whole.